Notorious sonic adventurer and label head of Stroboscopic Artefacts, Lucy offers his first solo EP on Samurai Horo. The Berlin sub-label to Samurai Music Group is the left-of-center experimental branch that deviates from SMG's usual D&B tendencies. Lucy's Eat, Drink, Shop, Relax sees the Italian producer delve deep into a realm of layers quite difficult to dismiss. Aiming a statement toward Western society's culture of consumerism, the EP serves as a calming and compelling antidote. 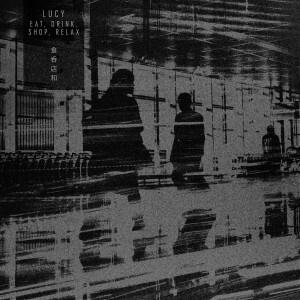 The EP was recorded live onto tape from Lucy's studio in Berlin.